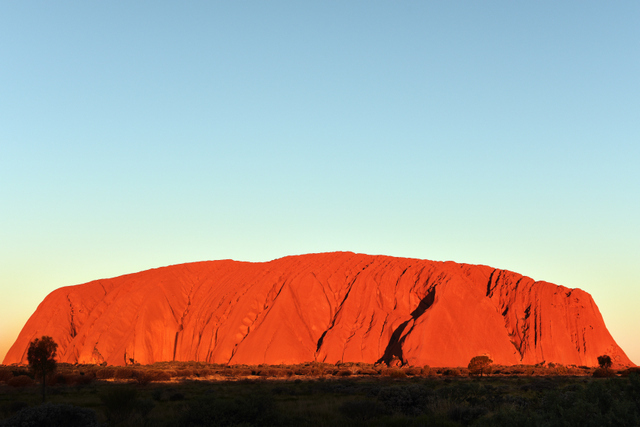 A Cool Australian Outback Experience! Last year I visited the Australia Outback, it is a trip I have done quite a number of times now but one place I hadn't experienced was the Opal mining township of White Cliffs in the far west of New South Wales. It is a little similar to Lightning Ridge but on a smaller scale, but all the same I really enjoyed the history, culture and landscape of this area. 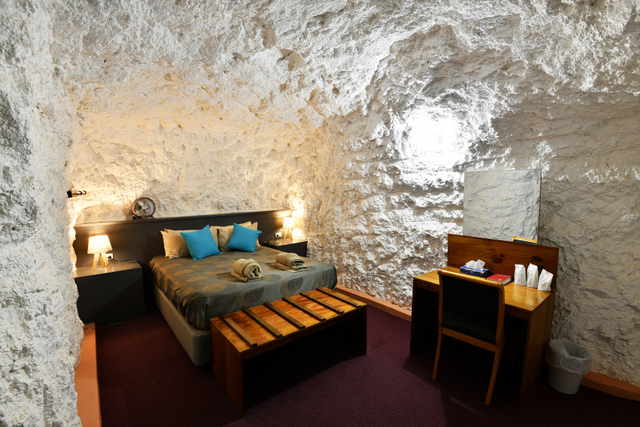 I had the opportunity to stay at the famous White Cliffs underground motel which was literally a really cool experience. It was on a hot Spring weekend but as soon as you walk underground into the motel it has a nice cool refreshing feel about it. I'm glad I've had that experience and highly recommend it. I hope to visit again soon! To see more photos of the outback click on the photo to the right. New South Island of New Zealand Landscape Photography Gallery. I am pleased to announce that I have just updated the New Zealand Landscape Photography gallery with many new photographs from across the South Island. 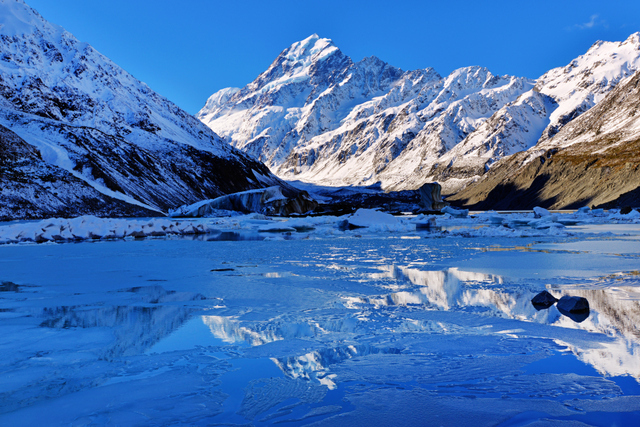 This gallery contains 171 photographs from places like Milford Sound, Fox Glacier, Franz Josef Glacier, Queenstown, Arthur's Pass, Lake Wanka, Lake Te Anau and my favourite spot of Mount Cook - Aoraki National Park to name a few. Please click on the photograph to the right to visit the New Zealand Gallery. To see more photographs from places like Canada, Alaska, Great Britain and Europe click HERE. New Photos of the Australian Outback. I have just updated the New South Wales Outback Landscape Photography gallery with a new range of photographs from a few recent trips to Mungo National Park, Broken Hill, Silverton, Mutawintji National Park, Bourke, Brewarinna and Lightning Ridge to name a few. 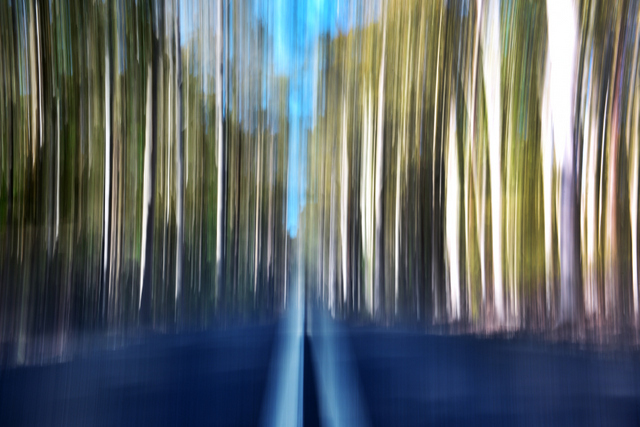 If you click on the photograph to the right it will take you to the new Outback Landscape Photos. 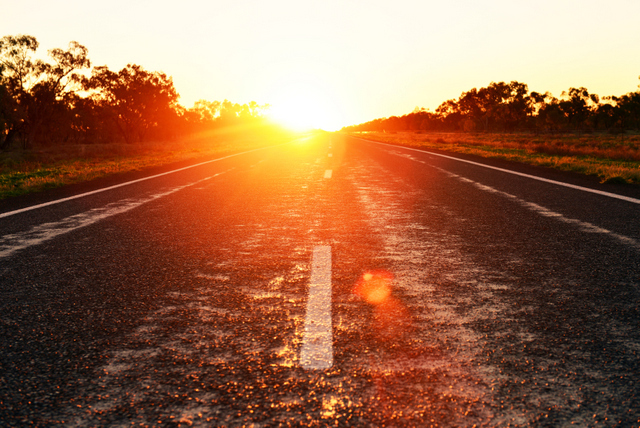 Click HERE to see more of Outback Australia from Central Australia in the Northern Territory. HaPpY NeW YeAr! All the best for 2019. Thank you to my customers and to my followers for all of your support during 2018! I'm very much looking forward to 2019 and hope that you are too. All the very best for the year ahead. I would like to wish all of my customers and supporters a wonderful Christmas and a prosperous New Year in 2019. 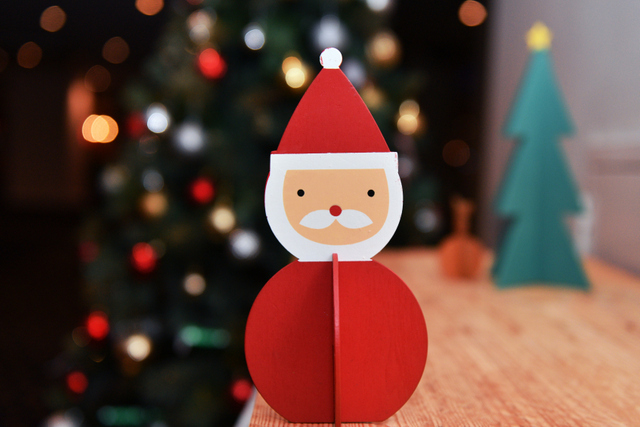 I hope you all have a great time with your family and friends and get to enjoy some time off too. Thank you very much again for all your support. A Thank you from the Woonona Lions Club. 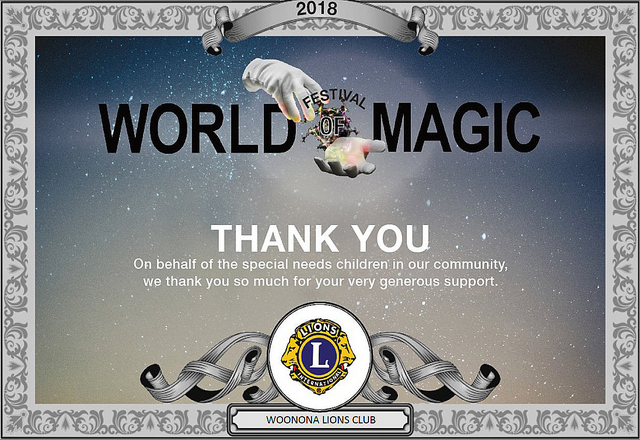 A Thank you from the Woonona Lions Club for supporting a local charity event. 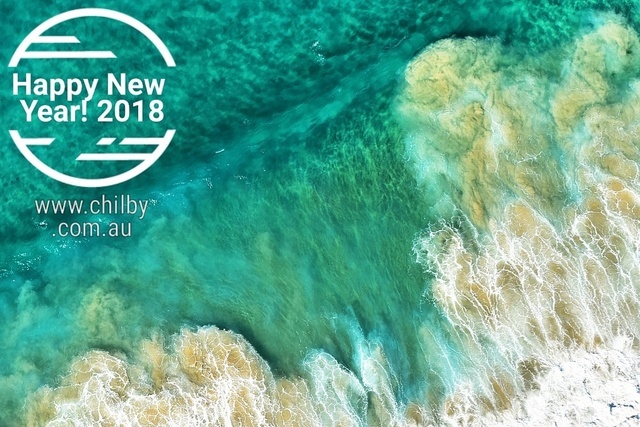 2019 Illawarra from the Air Calendars now available! 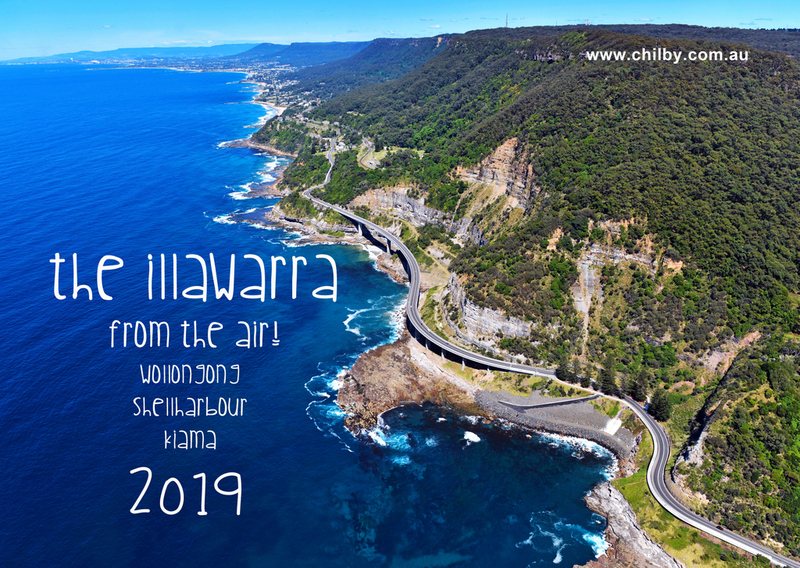 The 2019 Illawarra from the Air calendar has arrived and I'm really happy with how the calendars have turned out. This A4 wire bound calendar has 13 aerial photographs of the Illawarra region with images from across the Northern Illawarra, Wollongong, Shellharbour and Kiama districts of New South Wales. They are just $20.00 each with FREE postage Australia. Click on the photo to the right to order yours today. Real Photos Only, No Digital Artwork! One thing that is a little different with my photos compared to some is that every single image by Chilby Photography is a single layer image. I have no images that are layered or HDR and every single image is true to the environment and moment that it was taken in. I do adjust the contrast on all images and do very minor adjustments but 99% of the work is done on camera. I am happy to say that my photographs are true images and not photoshopped digital artworks. Quite often layered images and HDR images look incredible, out of this world and more striking then a true photograph but I am proud to produce images not digitially altered. Chilby Photography also does landscape location portraits around the Illawarra region. If you are interested in being a part of nature contract Brad Chilby HERE. These photos can be taken at your favourite location in the Illawarra; it could be a beach, in the rainforest, at a waterfall, in a park, at the botanic gardens, Sea Cliff Bridge or at Bald Hill. All images will be edited and supplied on a USB. To see more click on the photo to the right. I have recently updated the photographs in the Great Britain gallery. 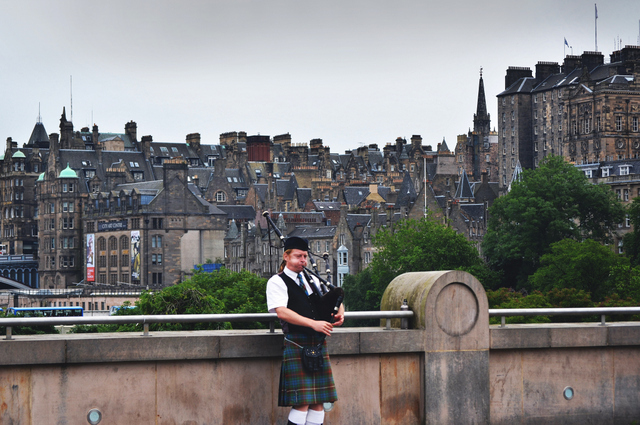 This gallery has photographs from across England, Scotland, Wales, Northern Ireland and Ireland. These images are available to purchase as Framed Prints, Matted Prints, Print Only's, Canvases, Metal Prints or Glass Prints. They are also available as liscensed stock images. To purchase a licensed stock image please click HERE. To see the Great Britain gallery please click on the photo to the right. I have just updated my European Landscapes Gallery with 93 new images from across Europe with photos from France, Switzerland, Italy, Austria, Czech Republic, Germany, Holland and Belgium. If you have a local European resturant or business these images may work for you, they are also available as licensed stock image. To view the gallery pleae click on the photo to the right. 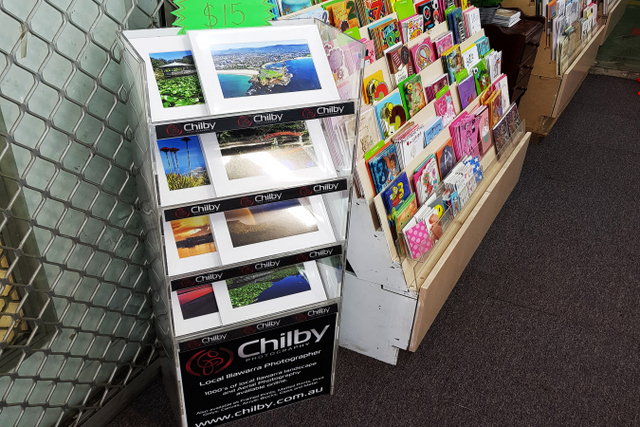 Chilby Photography is a local Wollongong Business that has a huge number of photos available to purchase as licensed stock images. I have available photographs from across Australia, New Zealand, Canada, Alaska, the United States of America, Great Britain and Europe. If you can't find what you are after on my website please contact me as I have 100,000 plus images that are not listed online. Contact HERE. To enquire about licensed stock images please click on the photo to the right or call Brad Chilby on 0425 308 433. Today we honour the heroes of Australia and New Zealand who sacrificed so much for the freedom of our nation. They were part of an incredibly tough generation who lived through many dark periods of time such as World War I, World War II and the Great Depression. They shall not grow old, as we that are left grow old; Age shall not weary them, nor the years condemn. At the going down of the sun and in the morning we will remember them. Lest We Forget. 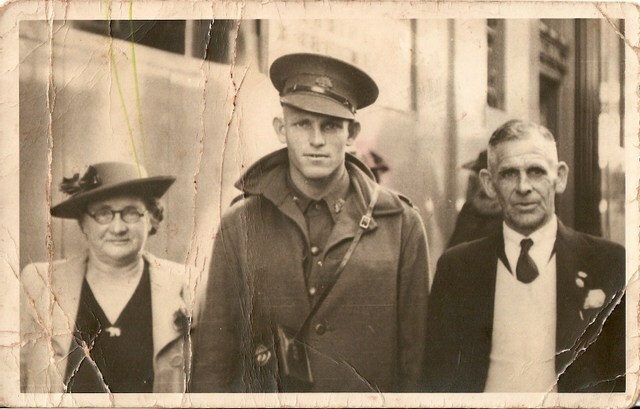 In this photo is Jim Henson of Corrimal (Centre) died as a Prisoner of War in Thailand. Florence Edith Henson, Mother (Left) and Harry Henson, Father (right). I love landscape photography and I love the places that it takes me. Since I started landscape photography I have been to 18 countries and 6 states of Australia, I have seen some amazing places from incredible wilderness areas to bustling mega cities like New York and London. If you click on the photo to the right it will take you to the behind the scenes gallery with many photos from my travels around the globe. I have just updated the website with all of the latest photographs from around Australia and the world. There are new photos from across New South Wales, South Australia, Victoria as well as Canada, Alaska and the United States. There are hundreds and hundreds of new photographs to check out. To visit the Australian Landscapes gallery please click on the photo to the right. To view the latest photographs from overseas please CLICK HERE. I am very proud to annouce the launch of my Canadian Landscapes Gallery. It has been an exhausting process over the past 6 months to sort and upload my Canadian, Alaskan and US photos but I have now just launched all 3 galleries and if you click on the image to the right it will take you to see 162 images of Canada. I have photos of Niagara Falls, Toronto, Edmonton, Jasper, Lake Louise, Banff, Calgary, Yoho National Park, Kelowna, Whistler, Vancouver and Vancouver Island to name a few. I also have about 13,000 images that aren't on my website, so if you are looking for a particular image or a stock image of either Canada, Alaska or the United State please contact: Brad Chilby on 0425 308 433 or email: brad@chilby.com.au. 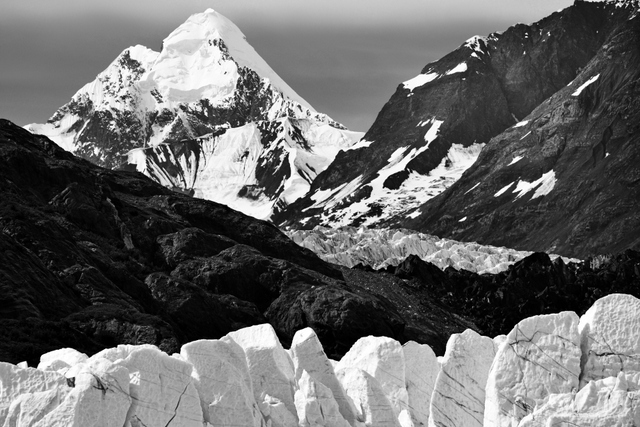 New Alaskan Landscape Photography Gallery! I have finally released my new long awaited Alaskan Landscape Photography gallery with the images of Alaska I took back in July and August of 2017. This gallery has 138 images of Alaska from the South East arm, including photos of Ketchikan, Juneau, Skayway, Haines, Glacier Bay and College Fjord and central Alaska with images from Anchorage, Chugach Mountains, Denali National Park and Fairbanks. It was a great trip and I would love to visit again one day. Until then please click on the photo to the right to view all of the latest Alaskan Photos. The United States of American! I have recently finished adding my United States gallery to the Chilby Photography website. At this stage it includes 63 images of New York City, if you click on the photo to the right it will take you to the new gallery. I am currently working on 2 more new galleries to be released soon, they include photos from across Alaska and Canada. I would like to wish all of my customers and followers a very Happy New Year and all of the very best for the year ahead. Thank you for all of your ongoing support throughout 2017 from Brad Chilby. If you would like to check out all of the latest photos please click on the photo to the right. I am currently working on adding more new images and hope to have many new images from the U.S.A, Canada and Alaska added soon. Thank you to Nadia from Nadia Barlow Communications in Wollongong for purchasing this beautiful photograph of Cradle Mountain in Tasmania as a 16x24 Inch framed photograph for a Christmas Present. 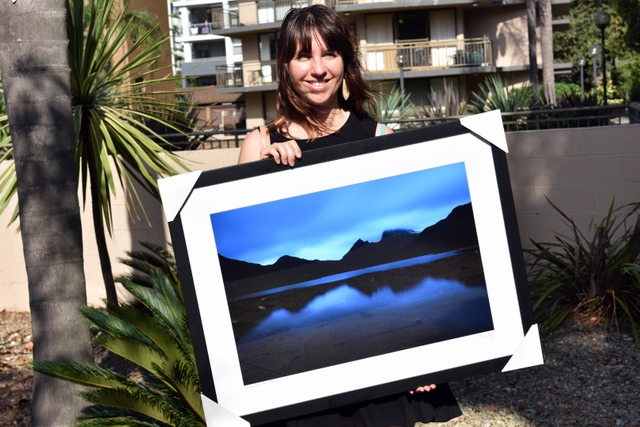 It's just one example of the quality locally made products that Chilby Photography produces. 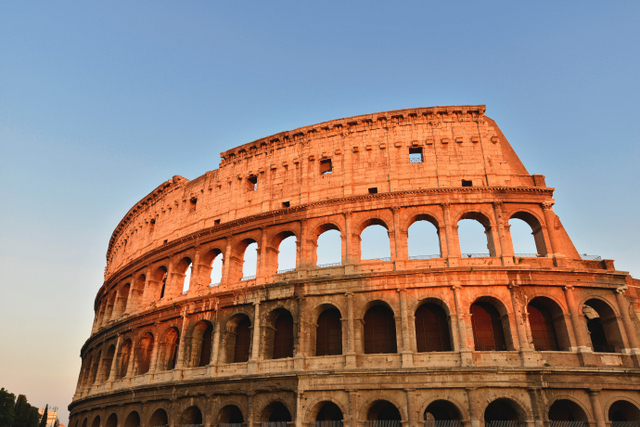 We can can also Matted Prints, Print Only's, Canvas, Metal Prints, Glass Prints or Acrylic Photo Blocks. For enquires please contact Brad Chilby on 0425 308 433 email: brad@chilby.com.au or click on the photo to the right to visit the contact us page. 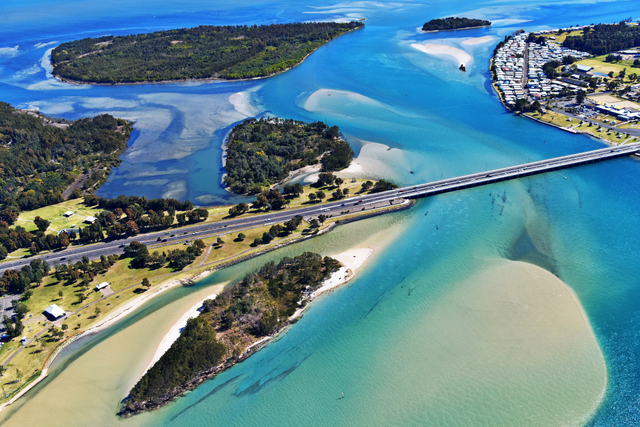 All the Latest Aerial Photographs from across the Illawarra. I have just updated all the latest aerial photography images of the Illawarra region with 270 images covering almost every part of the Wollongong, Shellharbour and Kiama areas. If you would like to hire Chilby Photography for a commercial aerial shoot or if you would like a framed photo, canvas, metal or glass print done please contact Brad Chilby on 0425 308 433 or by email: brad@chilby.com.au. To view the 270 images of the region please click on the photo to the right which will take you to the gallery. 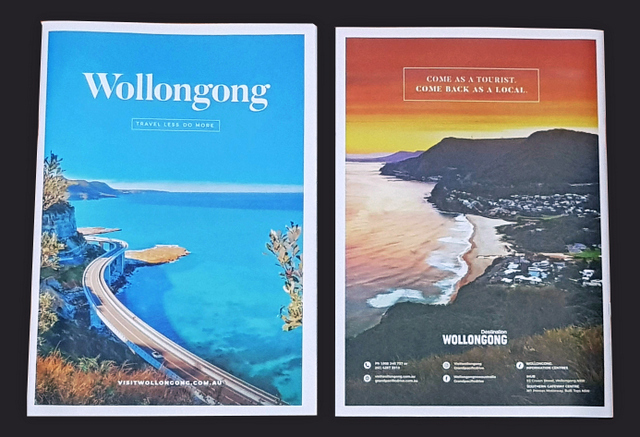 The Back Cover of the Wollongong Visitor Guide for 2018. 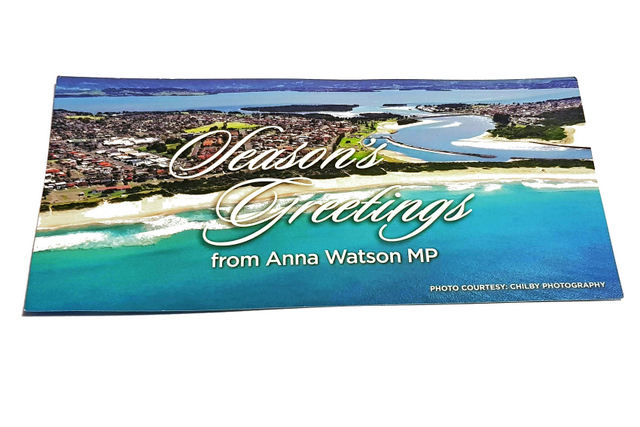 This Christmas Flyer came up really nicely and was sent out to households by a local Member of Parliament who wanted to use a photo of the area that she represents. It's a great idea and looks amazing. If you would like to do something similar you can contact Brad Chilby: 0425 308 433 email: brad@chilby.com.au click on the photo to the right for more information on stock images. 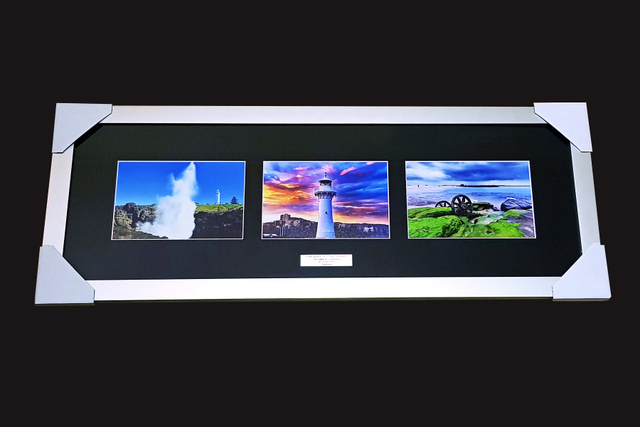 This custom frame was an order that came in prior to Christmas, it was for a retirement gift and included 3 - 8x12 inch photos of the Illawarra, along with an engraved plaque and a black matboard. If you have a custom idea that you would like done please let me know...I'm sure we can do it. Please contact Brad Chilby on 0425 308 433 or brad@chilby.com.au for enquires or click on the photo to the right which will take you to the contact us page. 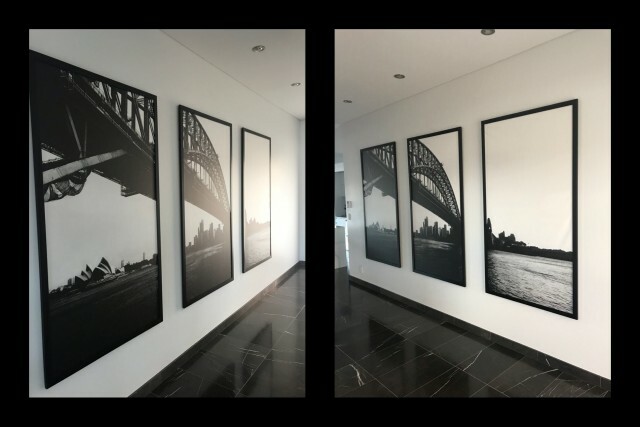 A customer sent in this photograph of a recent installation using one of my Sydney Harbour photographs as a multi panel framed canvas image. The colours and style were picked to suit the new modern style interior of the home. Any of my images can be customised to suit your needs, I can do multi panel images, panoramas, framed canvas, acrylic photo blocks, glass or metal prints, Kitchen and bathroom splash backs and more. For enquires please contact Brad Chilby: 0425 308 433 or by email brad@chilby.com.au. If you click on the photo to the right and it will take you to the contact us page. New photos of the Eurobodalla and Sapphire Coast! I hope everyone had a lovely Christmas...I have just spent some time updating my photographs in many of my galleries. 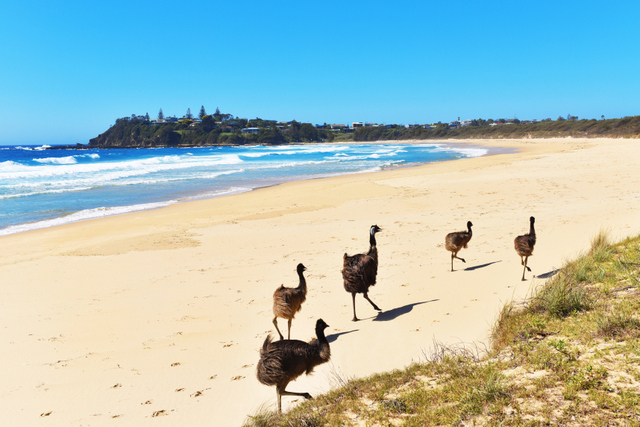 If you click on the photo to the right it will take you to the latest shots from the beautiful Eurobodalla region on the South Coast or you can click HERE. I have also updated the Sapphire Coast gallery with some more of my latest shots. If you click HERE it will take you to the photos of the stunning Sapphire Coast region. I would to wish everyone a very Merry Christmas, I hope everyone has a safe and happy Christmas period this year! Thank you to all my customers for your support throughout the year. Thank you to all of my followers on social media for continuing to follow and support my work. 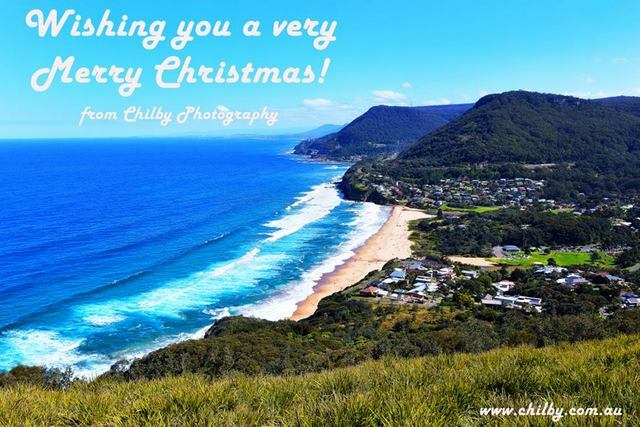 All the best from Brad Chilby - Chilby Photography. Up on top of the mountain at Darkes Forest we got out an Akubra and a Driza-bone jacket on a cold and foggy Summer's night. 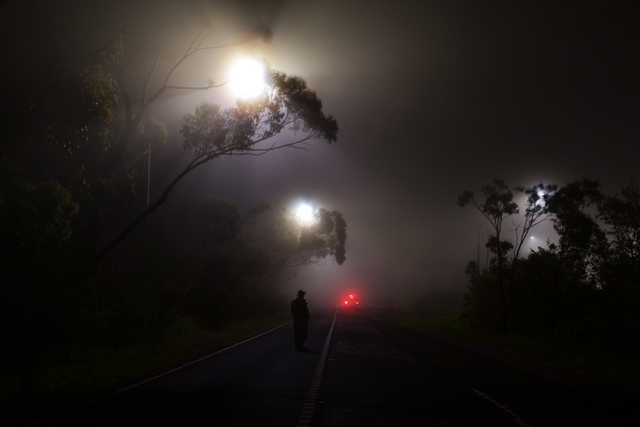 We did a number of different shots utilising the street lights shinning through the fog, many looking like the fitting cover for a scary movie. It was on a lonely road in the bush at about midnight and in the photo to the right you can see some red brake lights. I was shooting from within a dark area away from the lights so the car hadn't seen me. Surprisingly he pulled up and asked if our scary character that was standing in the middle of the road would like a lift. I was quite surprised, as I certainly wouldn't stop for a guy standing in the middle of the road, in the middle of the bush, in the middle of the night, by himself wearing a trench coat. Grandparents Day and Seniors Card offers! Chilby Photography is a partner of NSW Grandparents day and Seniors Card. Chilby Photography offers a discount to Seniors card holders and for NSW Grandparents day we have a special offer running on Canvases 16x24 inch or larger. This offer will entitle you to a saving of $60.00 off the total price of a large canvas. 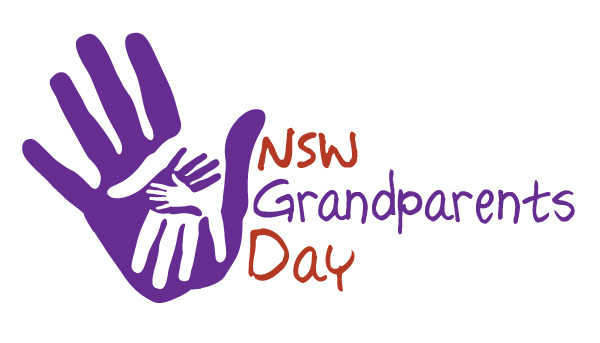 If you click on the photo to the right it will take you to the NSW Grandparents Day special offers. 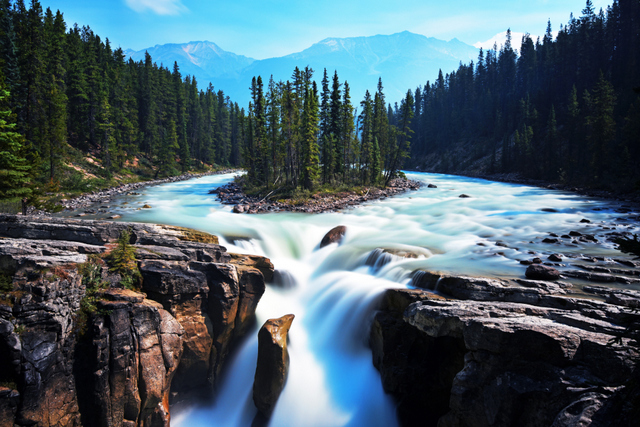 Canada, USA, Alaska Photography Trip!! In July and August I travelled to the USA, Canada and Alaska taking 15,000 photos in 6 weeks. 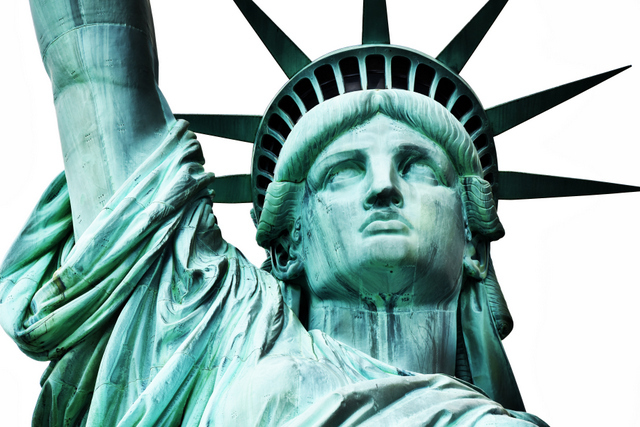 I first arrived in New York city, I then travelled to Niagara Falls, Toronto and Edmonton. 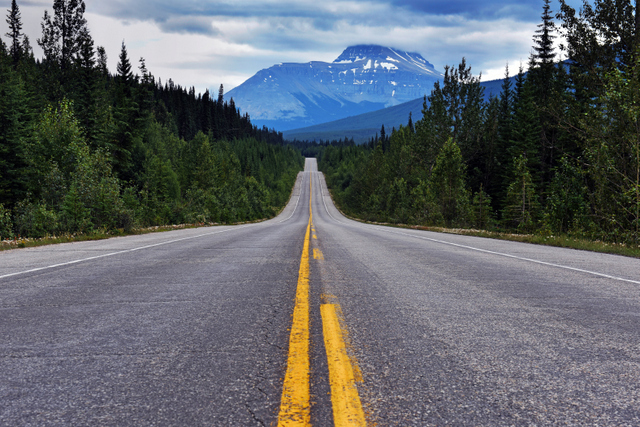 From Edmonton I hired a car and drove on the right hand side of the road for the first time through the Rocky Mountains to Jasper, Banff, Calgary, Columbia Icefields, Lake Louise, Emerald Lake and Moraine Lake. 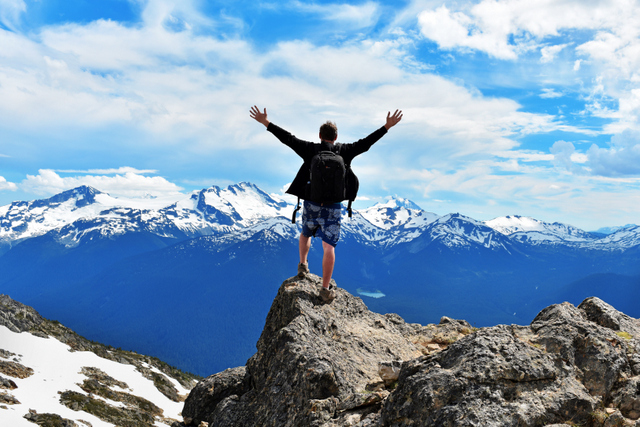 I then visited Kelowna, Whistler, Vancouver and Vancouver Island in beautiful Canada before heading to Alaska. 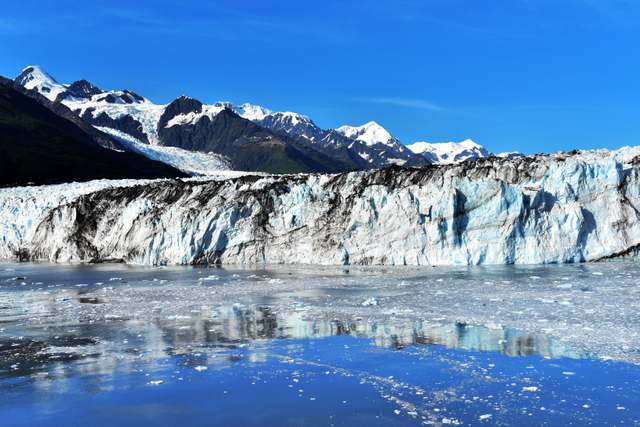 In Alaska I saw the amazing coastal areas of Ketchikan, Skagway, Juneau, Haines, Glacier Bay, College Fjords, Whittier, Anchorage before heading inland to Fairbanks, the North Pole and the Denali National Park. It was an amazing trip. I am slowly getting through the photos and uploading to the website. If you click on the photo to the right there will be more and more photos appearing over the coming weeks in the International galleries. New Stock at Keiraville Newsagency and Gift Shop!!!! 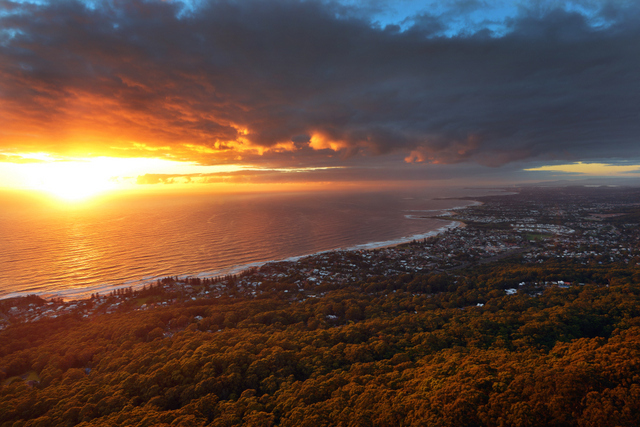 Chilby Photography now has a range of matted prints available at the new Keiraville newsagency and gift shop at Shop 2 - 207 Gipps Road, set in the beautiful little village at the base of Mount Keira. 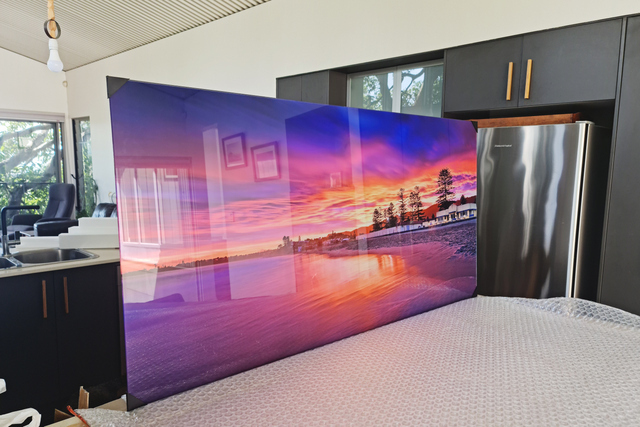 Just go in and see Susan who will assist you, the photographs are all of the local area and include a variety of shots from Keiraville and the greater Wollongong area. Click on the photo to the right to see more locations who range Chilby Photography products. 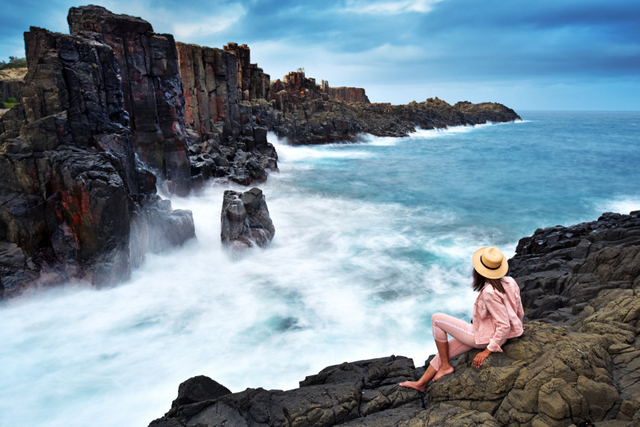 A beautiful place called Kiama! 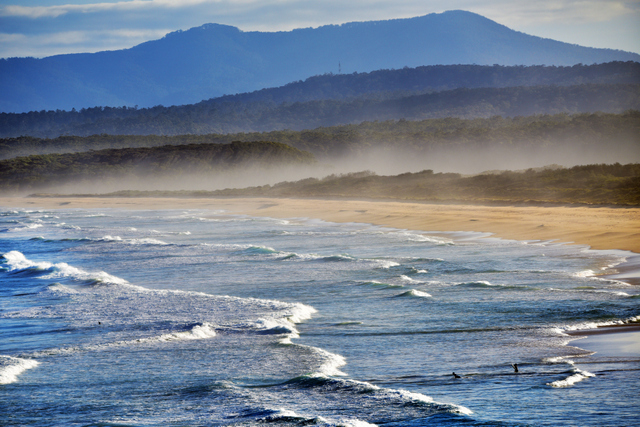 We are very lucky here in the Illawarra to be surrounded by such beautiful landscapes. 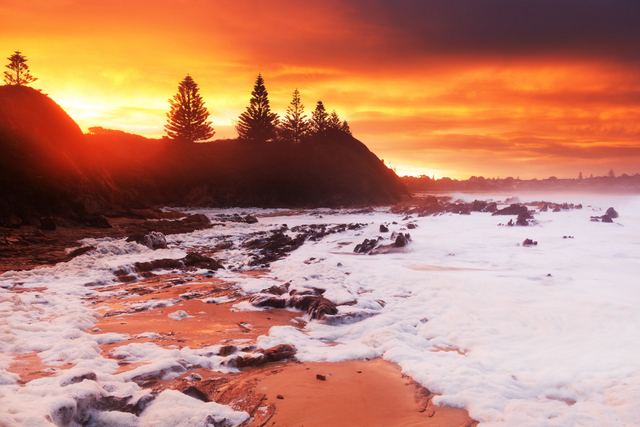 Kiama is a region in the south of the Illawarra between the mountains and the sea. 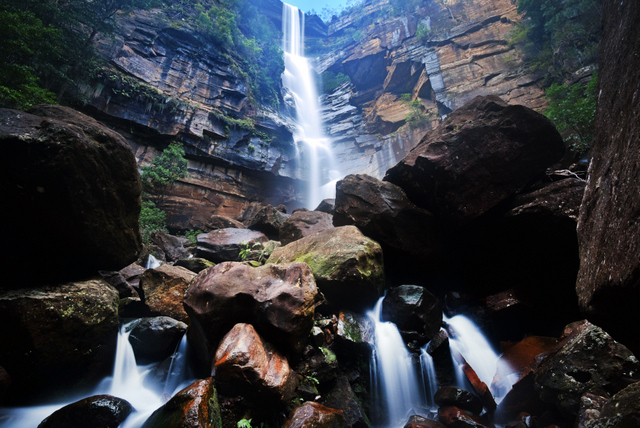 It has a little bit of everything from a busy village, beautiful beaches, unique rock formations, rolling green valleys, waterfalls and luscious rainforests. 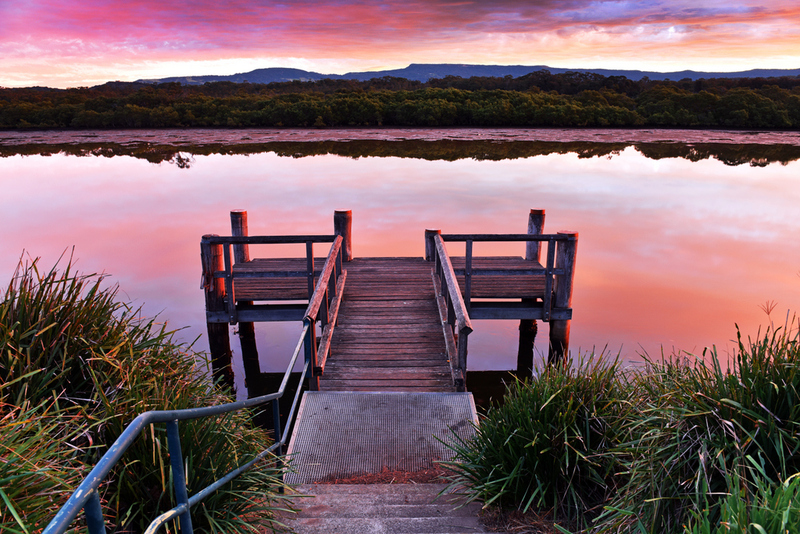 If you click on the photo to the right it will showcase some of my photos of the region that are true to what this area really is and are taken by an Illawarra local. Every single photograph by Chilby Photography has had very little processing done to it on Photoshop, and that's what makes my images a little different and unique. I don't use HDR, I don't stitch images and I don't use multiple layers to edit. All photos are single layer images, very close to what comes straight off the camera with minimal tweaking done to the shot afterwards. I believe this produces a photograph true to nature or the environment that it was taken in. I can proudly 100% guarantee that all images are one single shot. Click on the photo to the right to view some of my photographs from around Australia. New Wollongong Photo booth company. 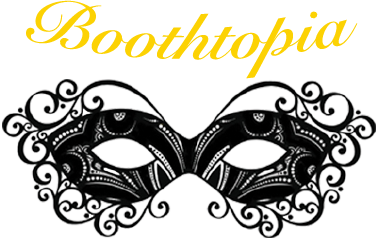 Boothtopia is a new photo booth company in the Illawara region that offers new, elegant and sophisticated options for photo booths. They cater for Weddings, Parties and all other types of functions. For more information on the packages along with photos of the booths please support another local business and click on the photo to the right to visit their website. Waterfalls have been one of my favourite subjects since I started photography and even before that. I have spent endless hours hiking to remote waterfalls and have been doing this since about the age of 10. I love being out in the wilderness and exploring new places. I have found many unnamed waterfalls over the years but have put a lot of effort into hiking long distances to find them. I have put together this gallery with some of the waterfalls from around the country. Click on the photo to the right to check it out. Every now and then I try and take photographs that are a little bit different from the usual and create an abstract look to the shot by slowing panning my camera as I take it. I like do this type of shot in the forest particularly if it is foggy or down a lonely lane lined with tall trees. I hope to continually populate this gallery with more photos over the remainder of the year.